Manchester United have reportedly decided to step up their interest in Milan Skriniar by lodging a formal bid for the Inter Milan defender. United found no success in pursuing a centre-back during the summer but they are keen to sort out the concern during the current transfer window. According to TMW, the Red Devils have finally made an approach for Skriniar after lodging a bid worth £54m to secure his services from the Nerazzurri. 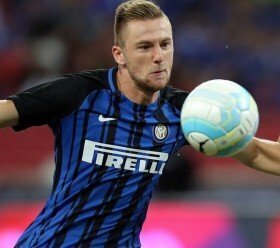 Skriniar still has more than three years remaining on his existing deal with the Nerazzurri and his agent has previously indicated that talks are underway regarding an extension. As such, there appears no urgency from the Nerazzurri end to sanction his sale, although they could be tempted to accept the £54m package on the table from United. Skriniar joined the Nerazzurri from Sampdoria during the summer of 2017 and he has since made over 60 appearances for the club across all competitions.